An interesting new lunch spot just opened up in Silverlake. 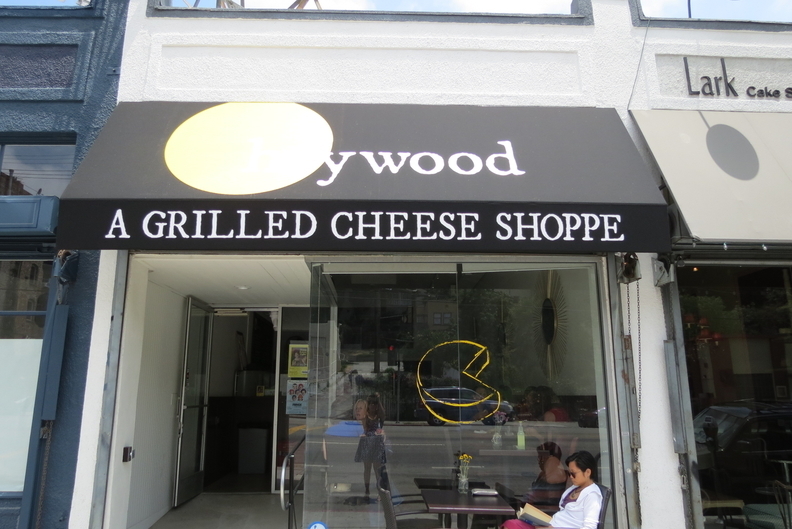 Heywood: A Grilled Cheese Shop is located right next to our beloved Lark Cake Shop off of Sunset and Micheltorena. This little local joint officially opened this week and we dropped in after hearing about their ooey, gooey, cheesy goodness. The set-up is simple. Order at the counter, grab a seat, and dig in. 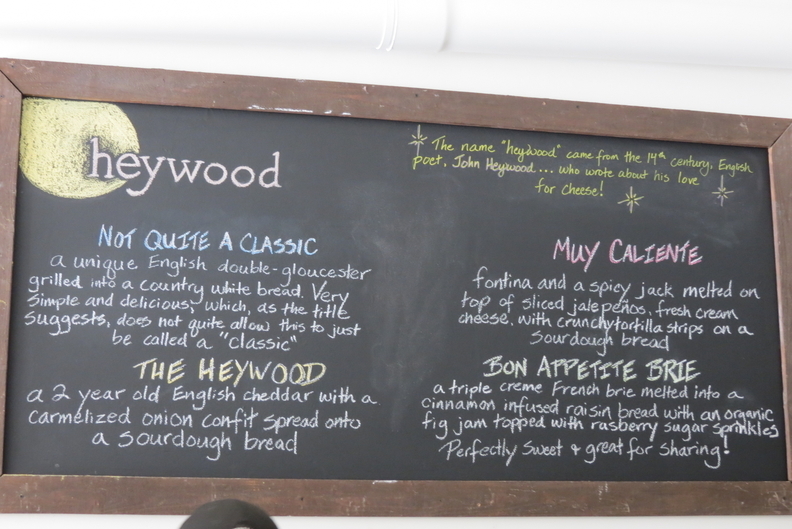 I went for their namesake sandwich, The Heywood, which wo-year old English cheddar and carmelized onion confit spread onto fluffy sourdough bread ($9). My pal order their Muy Caliente which was loaded with fontina, spicy jack, jalapenos, fresh cream cheese,and crispy tortilla chip strips between sourdough bread ($13). 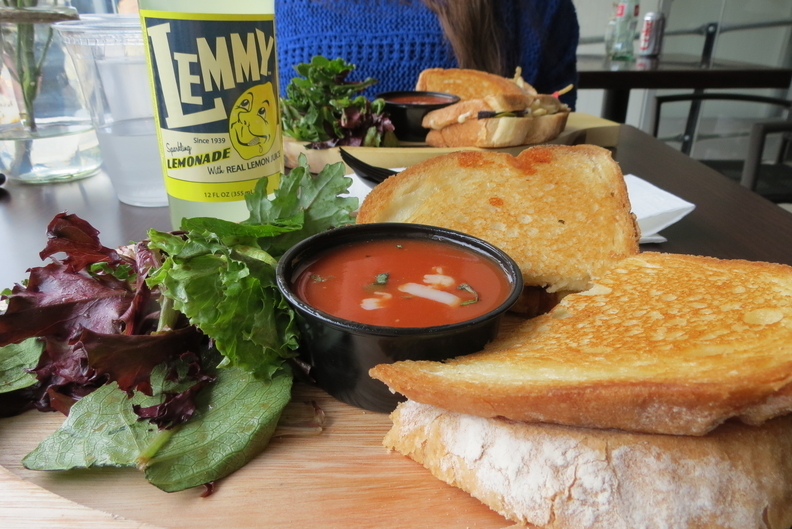 Both sandwiches were served with a small cup of their tomato soupfor dipping and a handful of dressed mixed greens. The general impression? Love at first bite. Buttery,gooey, and perfectly toasted grilled cheese sandwiches that can cure any case of the Mondays. The flavors were bold yet balanced and the bread was nice and soft. The onion confit was a great touch on my sandwich. I’ll definitely need to try more of their menu. 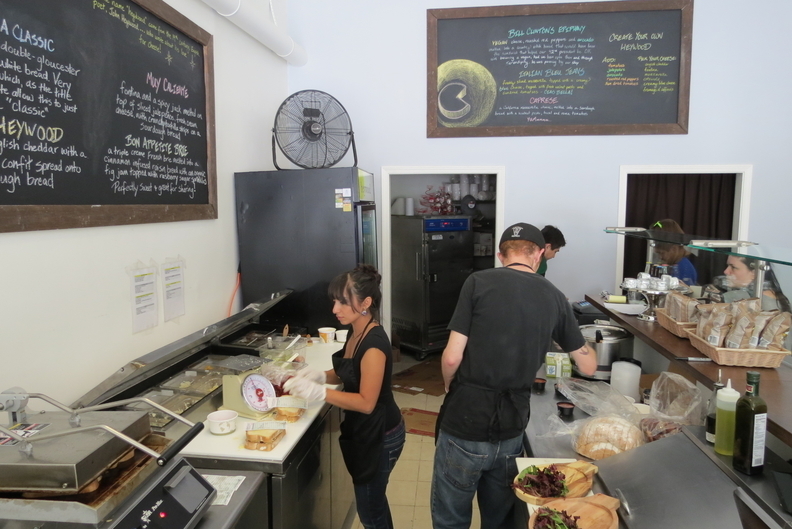 With a decent selection of cane sugar bottled sodas and quick locally made desserts like cookies and s’mores bars, Heywood’s got a good thing going on. Dare I say that Silverlake just got a little bit cooler?